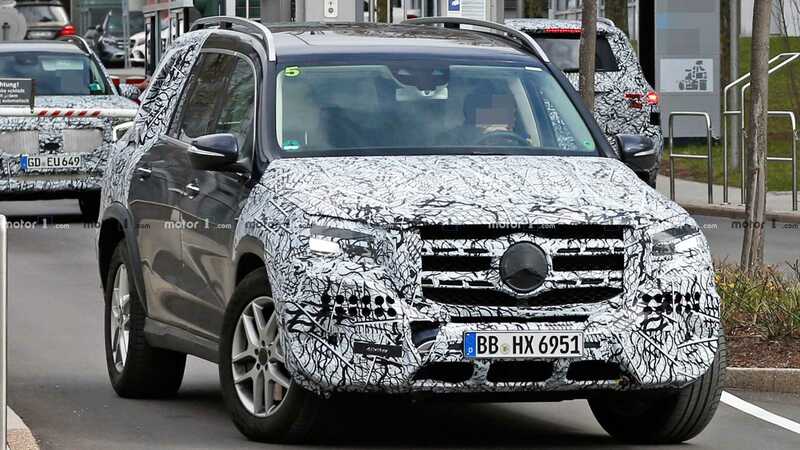 Mercedes-Benz has finished working on its next-generation GLS SUV. The vehicle will appear at the 2019 New York Auto Show opening next week. The latest spy photos show the car wearing only minimal test mule camouflage and standing with its doors fully open. You can freely see its headlights and taillights, the bulging fenders, the massive radiator grille and the large under shield situated directly under the front bumper. The seven-seat luxury SUV utilizes the MHA architecture, just like the new GLE. As such, it weighs less and has larger dimensions than its predecessor. Customers will be able to opt for a soft-hybrid variant of the car when it reaches the showrooms. The new chassis supports six- and eight-cylinder engines alike, and the company will likely start offering a new 4.0-liter twin-turbo V8 rated at 603 hp (450 kW) instead of the old 5.5-liter naturally aspirated unit with its 577 hp (430 kW).